The respondent for this film is Ashish Rajadhyaksha. 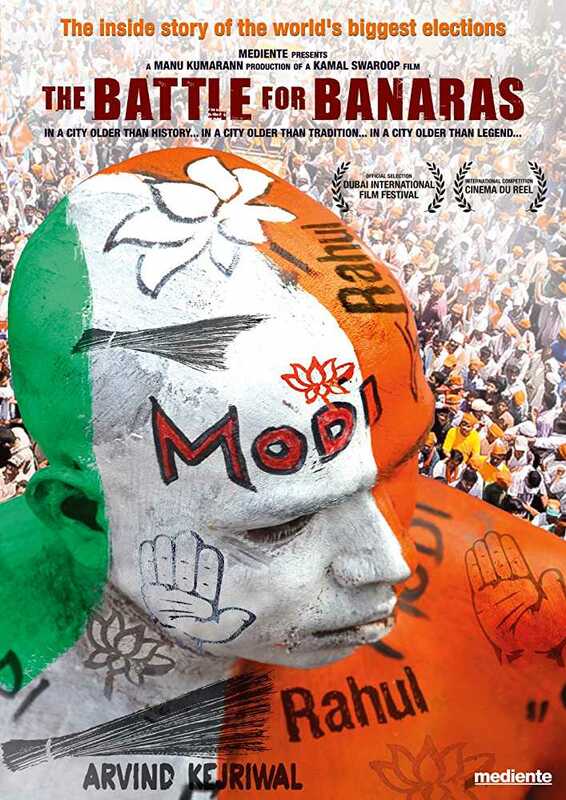 Kamal Swaroop’s classic documentary is inspired by Elias Canetti’s book Crowds and Power as it captures the excitement, the madness and the noise behind the high-octane electoral battle between Narendra Modi and Arvind Kejriwal in the holy city. Swaroop is there, in the thick of heat and dust, trying to make sense of what he sees, in terms of epic structures drawn from the Mahabharata, modern politics, absurd theatre and documentary evidence. The voice of reason is that of the journalist Suresh Pratap Singh, with whom Swaroop is in conversation in different locales. Apart from the two main contenders, several players on Swaroop’s stage include politicians of diverse ideological hues, their bodyguards and their spokespersons. Many of the mythic elements including tadpoles, fish and the moon walk remind viewers of his cult debut Om Dar-B-Dar. Kamal Swaroop is a two-time President’s award and Filmfare Award winning film, television and radio director and screenwriter. In 1974, he graduated from the Film and Television Institute of India and even his student works met with unusual international acclaim. In 1982, he assisted Sir Richard Attenborough in the filming of Gandhi. Om Dar-B-Dar (1988) is his path breaking masterpiece. He is also very well-known for his film Rangbhoomi (2013). Ashish Rajadhyaksha is an independent cultural theorist. He has written and published widely on the area of Indian cinema, India’s cultural policy, and on the visual arts. He is the co-editor (with Paul Willemen) of the Encyclopaedia of Indian Cinema (published in 1999 and 2001 by the British Film Institute). His books include The Last Cultural Mile: An Inquiry into Technology and Governance in India (2011) and Indian Cinema in the Time of Celluloid: From Bollywood to the Emergency (2009). He has curated a number of film and art events, including (with Geeta Kapur) Bombay/Mumbai 1991-2001 for the exhibition Century City: Art and Culture in the Modern Metropolis (2002) and You Don’t Belong (China/Hong Kong, 2012/13). How do we estimate the value, aesthetic force, and meaning of cinema today? As media experience, technological change has transformed it beyond recognition, its material forms altered by analog and digital video formats, and the modes of circulating, viewing, accessing cinema and making it have expanded exponentially. And yet, the dream and ambition of cinema as we have known it has not dissipated, the desire to congregate audiences to participate in a distinct world of experience, whether to excite, amuse, to move or to solicit reflection and engagement, to bear witness and to mobilize. For us at Sarai, the wager on cinema carries high stakes. It means renewing a pact with a bid to explore experience, to take film technique as a vehicle of the unexpected, making connections that take us aback, working out strategies to navigate media’s capacity to deceive – to sting the audience as much as expose secretive acts – through a forensic analytics, through ethical calibration, but also playfully, ironically. For us, such a wager also places emphasis on process, how things are done, how techniques are used, what evidence is presented, what judgments are made, how publics are engaged, framing the cinema as an act of research. In this series, Sarai will screen films to shift focus, to conjure up unusual images and sounds, novel techniques and subject matter, and will organise discussions with practitioners, researchers and an interested public to renew our investment in the cinema, to capture what it means in our times.